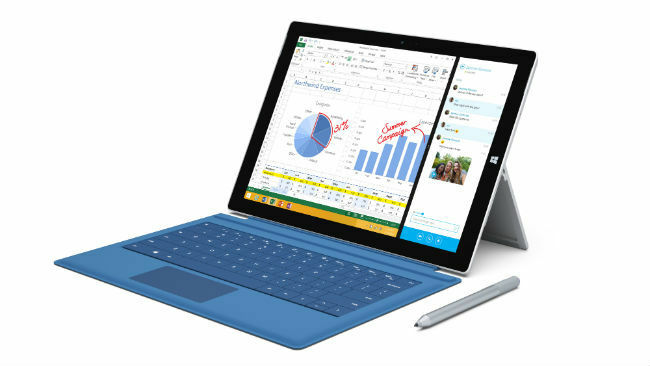 iPad Pro vs Microsoft Surface Pro 3 – which one should you take? 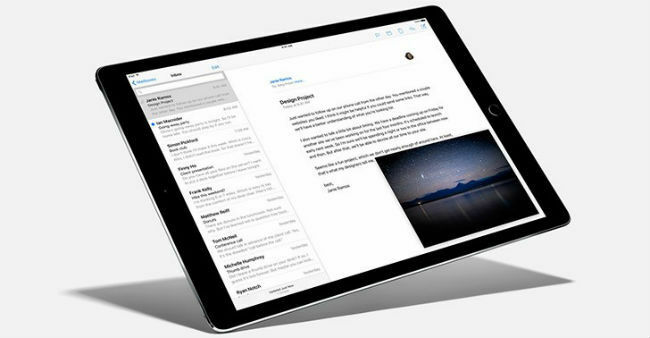 Has the iPad Pro caught your eye, and you're looking to invest in one soon? Here's taking a quick look at what Apple's iPad Pro and Microsoft's Surface Pro 3 have to offer! 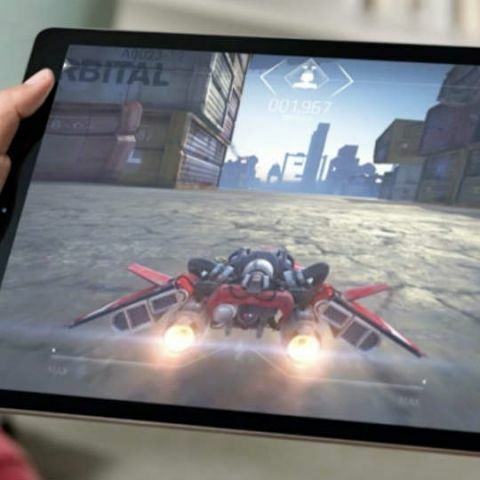 The iPad Pro is finally here, and with it, so are all the talk and debate over the efficiency that a tablet can add to your life. If you are looking to pick up a tablet, and the sky is the limit for you, then you are definitely looking for the crème de la crème of the lot. Naturally, we presume that even if the device is not officially available in India, you have the means to get your hands on it anyway. If you are looking for productivity, the iPad Pro seems to be a great option. But, what about the tablet-hybrid that started it? Yes, the Microsoft Surface, now in its third iteration. With the iPad Pro arriving, the war of the hybrids is finally on! Here is a quick look at the specifications of the iPad Pro against the Surface Pro 3. 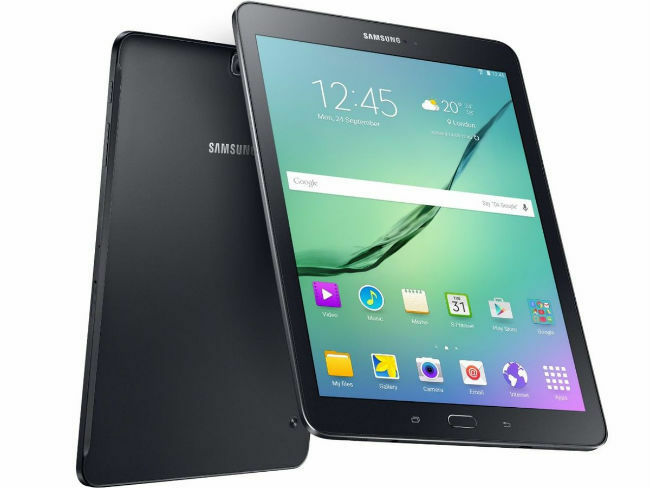 And, just so that Android does not feel left out, we are including the Samsung Galaxy Tab S2 too - the 9.7-inch variant. On paper, all the devices seem to have top-of-the-line specifications. If you are looking to run the latest apps, play games (not the high end games on Windows, natively), good performance can be assured on all. But, lets break it down in terms of productivity. Sure, the iPad Pro has a big display, and at its keynote, Apple showed off a bunch of cool things that you can do with it. But, how many of you are pianists eager to glorify notes on a sheet of glass with four speakers, anyway? Happy designing by syncing the Apple Pencil with Adobe's latest TypeKit? That's another $99, additional. Sure, there is a niche audience to utilise these features, but I am talking about the mass here. Personally, I’ve had the opportunity to use the iPad Air, Nexus 9, Samsung Galaxy Tab, the Surface Pro 3 and a few more (Don’t get jealous, it was all part of the job), so here's getting a few facts out of the way. In my experience, the best touchscreen keyboard, hands down, goes to Apple. With the larger real estate on the iPad Pro, typing should be a breeze, as what Apple showed. Coming to the Surface (and even the Samsung Galaxy 9.7), you may need an external keyboard to be absolutely comfortable cramming in that long, urgent email. Thankfully, the Surface Pro 3 has a Type cover, which is really good to type on. Additionally, there are a bunch of third party keyboards available for Android, that makes sense on the Galaxy Tab. However, in the end, it is subjective to what you are looking for in a keyboard. Moving on, we have multitasking and productivity. Here, Windows and Android have the edge, but how Apple's iOS 9 performs (with all of its promised features) is something that we will comment on when we use the final release of the OS. Apple did just release its Public Beta version of iOS 9.1 yesterday, ahead of the launch of its final version due September 16th. And, while it is not doing bad at all, it will be difficult to commend all that Apple is claiming praise for right now. If you are looking for seamless multitasking, a fluid interface, listening to YouTube music videos and typing at the same time, then Windows is the way to go. The fact that you are running a full-fledged desktop OS on the tablet, along with Windows 10 working well on a touchscreen device, make the Surface Pro 3 the ideal device for the avid traveller. The Samsung Galaxy Tab S2 has the ability to run two apps simultaneously, but if you want to listen to music on YouTube and use other apps for productivity on the display, you will need to root your device. Before you think that I am obsessed with YouTube, here's a thought - how many times have you started listening to music on YouTube or watching a video, and had the desire to send that one important email or text, and wished that YouTube could seamlessly run in the background? Your call, this. Judging the iPad Pro on its multitasking capabilities is a little premature since we have not laid our hands on it, yet. Our judgment is based on what we have seen and heard about the new device. So, which is the right device for you? In my opinion, it’s the Dell XPS 13 (2015) edition for Windows users, and the MacBook Air for Apple fanboys. Nothing beats an ultrabook when it comes to real world productivity. Sure, a tablet is cool, and after years of wondering what you can do with one, we finally have an answer - a lot of multimedia, gaming and specific apps targeted at niche users, along with a certain level of productivity, thanks to a dedicated arsenal of applications. Nonetheless, if you are looking for a recommendation from one of the three above, there is no clear winner. The answer is, if you want true multitasking and the ability to seamlessly run a bunch of apps, then the Surface Pro is the way to go. The iPad Pro and the Samsung Galaxy Tab S2 are fighting for the second position. But, the iPad Pro does have an edge over the Galaxy Tab S2, when you compare the specifications on paper.